One of the most common conditions we see as podiatrists are plantar warts also known as plantar verruca. These lesions commonly occur in children and parents often misdiagnose them as a callus (thickened skin) Plantar warts are very different than thickened skin and treatment is much different as well. A plantars wart is caused by the Human Papilloma Virus and it commonly affects the outer layer of the skin. It is contagious and commonly acquired by walking barefoot in a public pool, locker room, hotel room etc. Most of the time, children will complain of pain in the area as well as a thickening of skin in the area. If this is experienced, it is important to have your child evaluated by a podiatrist. The longer the delay, the more they can spread and the more warts you can develop. Your podiatrist will typically trim the thickened tissue (usually not painful), and evaluate the area. It is common to see black dots in the lesion (these are small capillaries). There are multiple treatment options available and your podiatrist will discuss this in detail with you. Unfortunately the Human Papilloma Virus vaccine does not protect against these plantar warts. Treatment usually entails salicylic acid (most podiatry offices use a percentage higher than what you can get in the pharmacy over the counter) as well as trimming the lesion. Another treatment option is a blistering agent that exfoliates the top layer of skin. It is important to remember that warts take a long time to go away but the sooner you treat them the better the outcome. Always also be sure to check everyone in your family as they easily spread to brothers, sisters, and other family members. 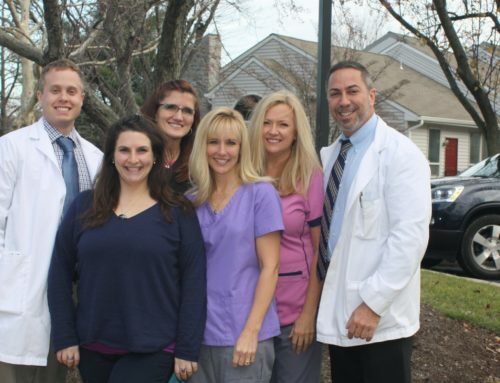 Call Quality Foot Care today at 215-230-9707 for an appointment with Doylestown’s community podiatrists. We would be happy to discuss the above with you to keep your entire family on their feet!